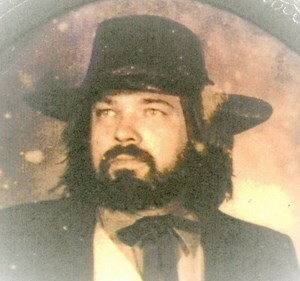 Newcomer Family Obituaries - Bobby Joe 'Black Bart' Townsend 1949 - 2019 - Newcomer Cremations, Funerals & Receptions. Townsend, Bobby Joe "Black Bart" age 70, of Cincinnati, Ohio passed away on Tuesday, February 5, 2019. He was born in East Burnside, Kentucky on January 6, 1949 to Robert Joseph and Mae Townsend (nee Rooney). He was preceded in death by his parents, Robert Joseph Townsend, Mae Townsend and brother, Wayne "Mumbles" Townsend. Bobby is survived by his Iron Horsemen brothers; and a host of other family members and friends. A visitation will be held from 6:00 pm to 9:00 pm on Friday, February 15, 2019 at Newcomer Cremations, Funerals & Receptions - Northwest Chapel, 7830 Hamilton Avenue, Cincinnati, Ohio 45231. A short gathering will be held from 9:00 am to 10:00 am on Saturday, February 16, 2019 at Newcomer Cremations, Funerals & Receptions - Northwest Chapel, 7830 Hamilton Avenue, Cincinnati, Ohio 45231 with burial and graveside service to follow at Vine Street Hill Cemetery. Add your memories to the guest book of Bobby Townsend. I’ll always miss the good old days when you were around my mom’s house....one of the funniest pranks I can remember is when you showed all the kids a picture you staged of Santa laying on the floor with your gun in the foreground of the picture. They all believed that Christmas had been canceled because you shot Santa! lol ... Honery!!!! You have been missed and will be missed! Prayers for your family...God bless you all! Just here to say goodbye my friend I have thought of you a lot threw the years We sure had a lot of fun and goat missed you too he would talk about you sometime And wonder how you were doing but I believe that you knew how much you meant to All of us time and living just got in our way you will be missed. Uncle Bobby Joe, what do I say when one of the most important people of my is taken? I have been sitting here in shock, can’t believe your really gone. I’m just so glad That you were apart of my life, you taught me so much more than you know. I remember as a little girl you would go through each drawer a show me every coin you had collected, also your stuffed snakes, I was so scared of those things but for some reason you just absolutely loved them. Oh and your Disney collection, countless hours We’d spend watching all your favorite movies! I remember when you found out I was dating the love of my life “Chris,” the first time you met him you had pulled him aside and whispered if you hurt her I’ll kill you “all while your hand is gliding across your throat in a cutting motion.” He’s still by my side 18 years later! Thanks for that by the way, you have always protected me. Our daughters Erin and Aubrey send their love, they are going to miss you very much. I wish you could have watched them grow and share all your knowledge with them as you did me. Your truly going to be missed, we love you so so much!